It is easy to go the science fiction route. Sleek black casing, robotic movement, refracted red sensor light. It should immediately evoke Hal 9000 or Batman’s Brother Eye. This is exactly the kind of voyeuristic technology that has fueled dystopic paranoia for decades, from Nineteen Eighty-Four to Skynet. 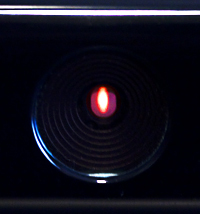 But when I look at the Kinect, all I can think of is the burning eye of Sauron. I am currently reading Fun Inc., Tom Chatfield’s keen investigation into the growing cultural relevance of videogames. In the second chapter, he uses Arthur C. Clarke’s oft-quoted line, “Any sufficiently advanced technology is indistinguishable from magic,” to describe the capabilities of the Kinect (then called Project Natal) as demonstrated at E3 in 2009. I felt that immensity when I first saw the Natal demos. I still felt it, even through all the smoke and mirrors, when I recently watched the Milo video again. There is something in the Kinect/Natal that is right on the edge of amazing. But, alas, the key word in Chatfield’s statement is ‘potential,’ and judging from the launch titles, Microsoft is making a concerted effort to squander that. Am I truly supposed to be impressed by a game that simulates jumping up and down on a raft? Is petting an imaginary animal the vanguard of a new technological paradigm? No and no. 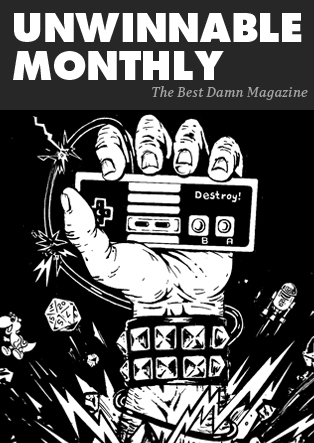 The biggest obstacle for the Kinect isn’t the Wii or the PlayStation Move – it is my coffee table and my unwillingness to move it. I sprained a tendon in my foot on Wednesday and the pain has been such that I spent most of yesterday confined to the couch with an icepack and my Xbox controller. In honor of Ezio Auditore’s imminent return in Assassin’s Creed: Brotherhood, I decided to return to Assassin’s Creed II and play the two DLC scenarios I had, until now, never gotten around to. This required a bit of waiting around while the DLC downloaded and the game installed to the hard drive. I used that time to read comic books. Periodically, I would turn a page and catch a flutter of motion out of the corner of my eye. I ignored it at first. It isn’t unusual for the headlights of a car to shine through the front window and be caught in the television screen but again and again I noticed the movement until I was forced to look up. There, in the lower right corner of the dashboard, serving no discernible purpose, was a black and white video feed of me laying on my couch. I glared, suddenly annoyed at the glorified web cam perched on top of my television. 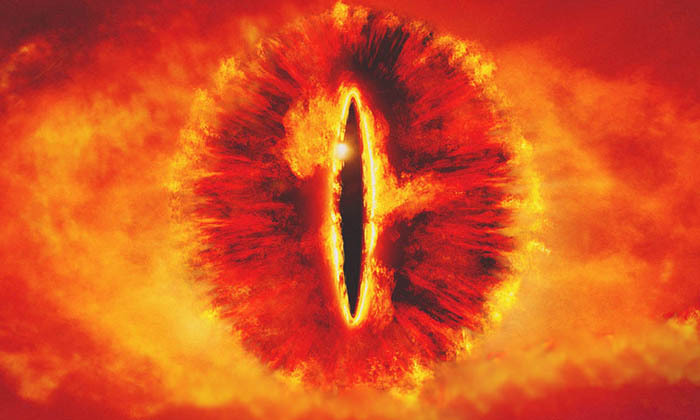 The burning red eye glared back. Here, then, is the future, our brave new world of interactivity – the staring contest.